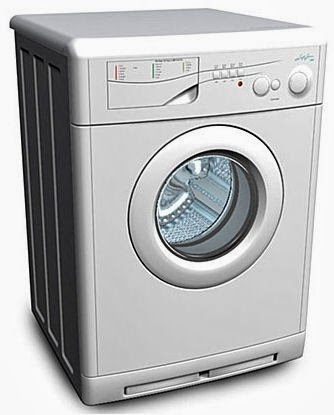 All year we're tossing dirty laundry with mud, dirt, snot, and who knows what else into our laundry hampers. 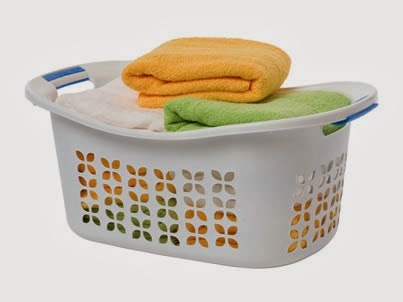 If you use cloth hampers go ahead and toss them in the wash to help freshen them. With plastic hampers and laundry baskets a disinfecting wipe may be all you need. I have a couple of wicker baskets I use, and the disinfecting spray adds a nice fresh scent. If you have kids, then you know how dirty the bed mattresses can get. From the night time accidents, to the midnight snacks that were snuck into bed. I have a two fold method of cleaning our mattresses: Our son is notorious for having a bloody nose at night if I forget to refill his humidifier, so I use hydrogen peroxide to first spot clean any blood off the mattress. 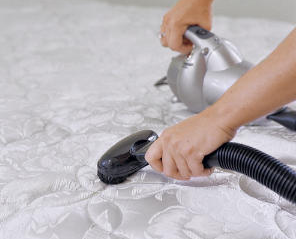 After that is FULLY dried, I sprinkle the whole mattress with baking soda and let it sit for a full hour (For a nice fragrance, you can also use a scented baking soda based carpet powder). Then just vacuum it all up using the hose and brush attachment of your vacuum. No, I'm not talking about dusting the TV. Having a neatly organized contact and e-mail list can really help you save time. 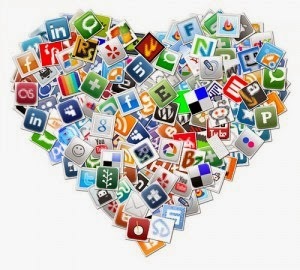 Take time to clean out and organize your Phone messages, Contact numbers, E-mail inbox, Social media followings, Internet bookmarks and Digital photos. Start with the medicine cabinet. SAFELY dispose of any unused or outdated medicines. Replace any outdated OTC medicines. Now is a perfect time to make sure you're ready for spring allergies. 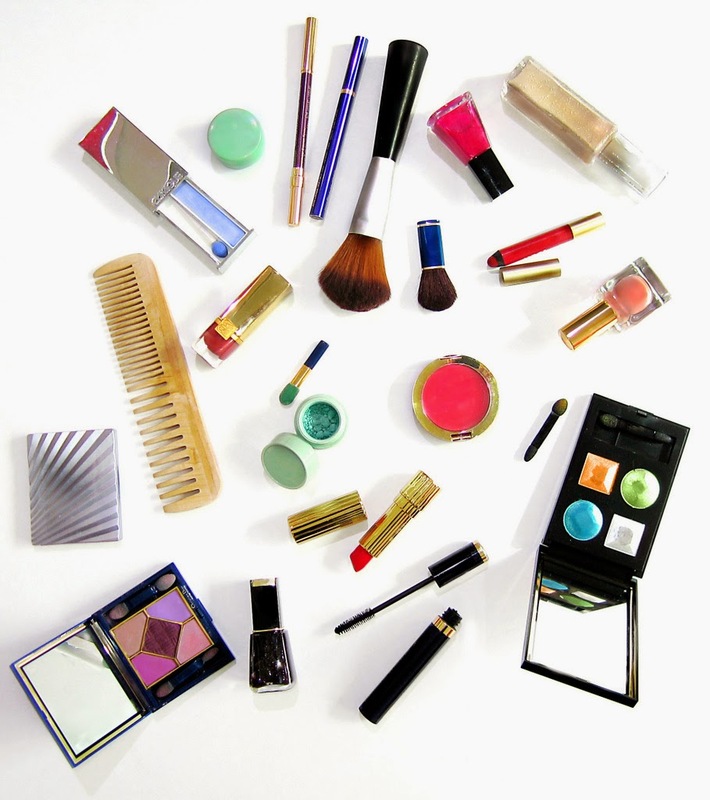 Next go through your beauty products. Most products that have sun protection need to be replaced each year. Even your make-up has an 'expiration date'. Be sure to replace any out dated supplies. One side of our house is hard to access due to the wooded terrain and edge of the property line. We NEVER go on that side of the house unless there's something wrong with the AC unit. However it's a good idea to just do a full walk around your house and do a visual inspection. Look for any vines growing on the house which can weaken the structure. Check for any damages to the roof or gutters from the harsh winter weather. Look for any washed out spots near the foundation. Winter weather can do some crazy things to a house. 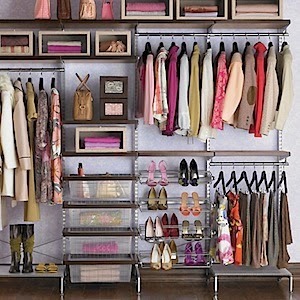 As you're getting the spring and summer clothes out, consider down sizing and organizing your closet. My favorite trick to this is to hang everything up with the hangers going one way. As you wear, wash and hang an item back up, just hang it up the other direction. After a month it's easy to see what you do not wear. Consider donating these items to a good home and enjoy the freedom you have gained from a clutter free closet. After getting the house freshened and spruced up. Consider doing the same for yourself. If you can indulge in a massage, by all means: get a baby-sitter, and go enjoy a little pampering. If a massage isn't in the budget, then enjoy an at home spa day with a nice bath and good book. What ever you enjoy, be sure to pamper yourself a little. If you don't stop and take care of you, you'll have a hard time managing a household. So as the days start to get longer and you start to emerge from your winter cocoon, enjoy the freshness that comes with spring cleaning and don't forget these 8 forgotten areas. 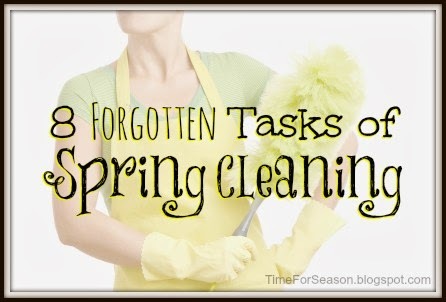 What's on your spring cleaning list this year?